Dr. Susan Baum Dr. Susan Baum is co-director of the International Center for Talent Development and Director of the 2E Institute for Research and Professional Development at Bridges Academy. Professor Emeritus from The College of New Rochelle, Dr. Baum is well known for her seminal work in the education of twice exceptional children and has published extensively on the topic. Dr. Baum teaches a creativity course in the Three Summers Program at the University of Connecticut. Her extensive experiences in promoting achievement for bright youngsters at risk make her presentations both practical and theoretically sound. Susan has served on the Board of Directors of the National Association for Gifted Children and is past-president and co-founder of the Association for the Education of Gifted Underachieving Students. 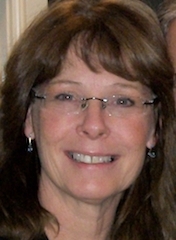 She is recipient of the Weinfeld Group’s Lifetime Achievement Award and the recipient of the 2012 Connecticut Association for the Gifted, Friend of the Gifted Award for her work in educating the twice exceptional child. Dr. Meredith Greene Burton Dr. Meredith Greene Burton earned her doctorate in Educational Psychology at the University of Connecticut, specializing in the social, emotional, and career counseling needs of gifted students. 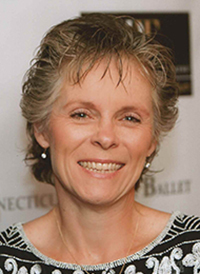 She has worked as a research assistant for The National Research Center on the Gifted and Talented and as co-organizer of Confratute, University of Connecticut’s international summer institute for gifted education teachers. Dr. Burton received a Doctoral Student Award from the National Association for Gifted Children (NAGC) for exemplary work in research, publications, and educational service. 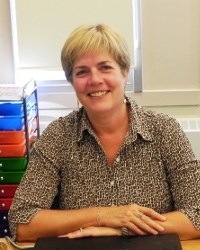 She received the Roy C. Hill award from the Canadian Teachers Federation for innovative teaching practices and a Golden Leaf Award from the Canadian Educational Press Association for professional writing. A principal at Bridgetown Regional High School and a University of Connecticut adjunct faculty member who teaches graduate courses in Gifted Education, Dr. Burton also conducts teacher training workshops on supporting gifted and talented learners. Dr. Jann Leppien Dr. Jann Leppien teaches curriculum courses and thinking-skills courses online and in the Three Summers Program at the University of Connecticut. 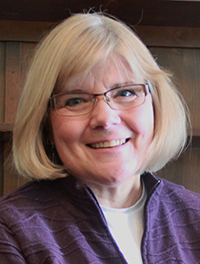 She is an internationally known expert in the field of gifted education, and the inaugural Margo Long Chair in Gifted Education at Whitworth University in Spokane Washington. Dr. Leppien is co-author and editor of several published books that focus on the development of curriculum for advanced-level students. She has worked as associate professor of education at the University of Great Falls, in Great Falls, MT, where she taught courses in curriculum and instruction, gifted education, assessment and learning, educational research, and methods in social sciences. Prior to that, Dr. Leppien was a research assistant for The National Research Center on the Gifted and Talented (NRC/GT). She also worked as a classroom teacher, enrichment specialist, and coordinator of a gifted education program in Montana. Mary Sullivan Mary Sullivan is an instructional specialist at the University of Connecticut and has been teaching in the Three Summers Program and Confratute for over 25 years. She has been an SEM coordinator, teacher, and consultant with school districts implementing or developing the Schoolwide Enrichment Model, including Saturday and Enrichment Cluster programs. Mary also enjoys biking, photography, painting, and spending time with family.